When using monitoring applications, users often face some complications either during the installation process or during usage. 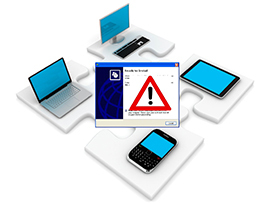 The issues mostly occur because of either the application itself or user error. Surprisingly, many of the complaints we have heard of, seem to be due to the customer not properly verifying information before purchasing. We have provided a guide for beginners to learn all there is to know about cell phone spy software, but the following article overviews the main common problems new users come across when using these services for the first time. Some users do not take the time to verify how the software works and what the compatibility requirements are. Part of the problem is that users have extremely high expectations from such applications and they get enraged even when facing a minor issue. But, if you sign-up with an established spy app service provider, the support team will more than likely be able to help you resolve your software issue. However, if you fail to first verify that the functions you wish to use are fully compatible with your hardware and device operating system version, you should not automatically blame your provider. Let’s have a look at the issues that come up most often. This is the most common issue that arises, but it’s more often than not easy to resolve. Most of these monitoring applications are installed and configured in a similar way and it’s not rocket science. Once you have signed up for the service, you will be provided with a link to download the app. Simply use the mobile device, whether it be a cell phone, tablet, or even computer in some cases, and visit the link in your email. The one click download and install is done in a very short amount of time and you’re ready to go and login to the web panel and start using the service. More often than not, we see buyers that blindly purchase the service, thinking they can freely install the software remotely on anyone’s phone. This is not the case, and any service promising you that, is not only illegal, but more than likely a scam. 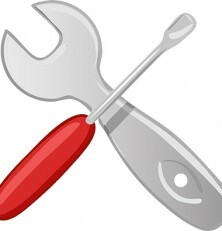 For new users, it is recommended to take their time and follow the installation instructions, exactly as advised. Choosing a reputable provider is the key to having a smooth setup process and great user experience. 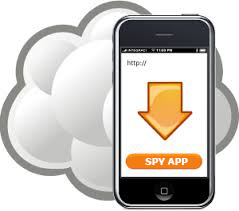 We highly suggest you have a look at our spy app reviews to better select the right service for your needs. This is another issue that comes up often, but is also easy to fix. 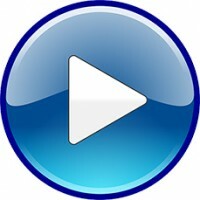 All the recordings and videos are downloaded in 3GP format, which is not supported by the Windows Media Player unless additional codec is installed. Most users face this issue because of format not being supported by the video player they are using. To solve this issue it is recommended to use VLC Media Player to play the recorded calls and videos. Not only is it free, but it literally plays all formats flawlessly and is one of the most used media players by PC users worldwide. Remember that the recordings can only be downloaded after they are completely uploaded to the software website. Beyond this, we sometimes hear about iPad users complaining of not being able to record calls, which is because most providers do not have the possibility of offering this feature on certain tablets. The technology simply does not allow it, which is why it’s so important to check compatibility lists first. Sorry for the redundancy, but please check compatibility before purchasing and keep in mind that not absolutely everything can be monitored and logged. Some services will only be able to log web history on native browsers, while more complete providers offer compatibility with Chrome, Firefox and other third-party installed browsers. Same for email accounts, while any email setup on the phone can be monitored, make sure the service you pick will support any extra accounts needed such as Gmail or Yahoo. If you need to monitor other third-party applications such as social media apps, instant messaging chat, or others, for the last time, make sure you choose the tracking software that does all of the things you need, and you will avoid being disappointed later. Take note that all iPhones and iPads need to be jailbroken in order to install the app, with the exception of iCloud based monitoring, which offers a limited amount of features, but uses iCloud to log and monitor the device, making it possible to use without Jailbreak. Head here for more information on jailbreaking your iPhone. Android devices don’t get “jailbroken”, but “rooted” instead. While this is not required to install the spying software, some features don’t work without rooting, such as tracking for Instant Messengers like Skype, WhatsApp, or social profiles like Facebook and Twitter. We feature complete guides to help you understand what rooting your Android is and how it’s done, and what the benefits are. Everyone should consider all the technology required for these monitoring and logging services to be made possible and stop complaining so much when some services have gone down. The fact that you can have real-time location tracking and quick log downloads is amazing, but it’s also dependent on the target cell phone having a good network signal, and having GPS turned on! If the data service connection or Wi-Fi being used is slow, you can experience problems with late response and lag on your logs from your end when using the control panel. If you’re having issues like retrieving logs, accessing files or GPS tracking, consider the possibility that the issue may stem from cell phone carrier network problems and that nothing can be done until the network performance re-establishes. 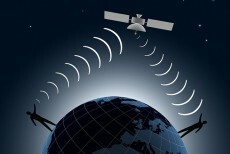 Also, for carriers such as Verizon, the GPS tracking service must be activated in order to work. Don’t take for granted all the powerful technology, satellites and towers that make all of this even possible. This is inevitable at times, and instead of being angry, understand that it does not equate to bad service from either side, unless it’s a regular problem. All cell phone tracking software services work in a very similar way, as far as how you control and access the logs. With your account credentials, you login to the vendor’s website and a control panel presents all the options, and access to all the data. Inevitably, something will eventually stop working temporarily. This goes back to service outages, disabled GPS, or even turned off phone. If this happens, you will not be able to download any logs or live monitor and track. This is only normal and nothing can be done until the specific service is back up. If you notice that a certain feature has stopped working for more than a day or two, and it cannot correspond to the cell phone’s network or features, contact your service provider by opening a support ticket or chatting live with them. They will look into the probable cause and do their best to find a solution. If all services stop working, and don’t come back, there’s a chance the device is no longer running the software, which could be caused by various actions, such as – updating the phone’s operating system or resetting the device. The information I tried to convey through all of these scenarios, is that due to the nature of the technology, and the fact that many features depend on firstly an active internet connection, but also certain aspects like GPS location and compatibility across all devices and versions, will cause for certain things to be inactive or not working for a little while. Don’t freak out and give it a little bit of time before filing a support ticket. Consider all the possibilities and accept the reality that not everything will always be perfect and up and running. It’s just the nature of cell phones and wireless data networks. Knowing this can save you a ton of frustration, since you know what is going on, you can accept it, give it a bit of time and check in later instead. Apply this, and take your time picking the right provider and setting up the app and you should be part of the many who have not had to face any technical issues or troubleshooting with their cell phone spy software.